Cooley’s water-willow (Justicia pringlei) is in the Acanthaceae, or acanthus, family. 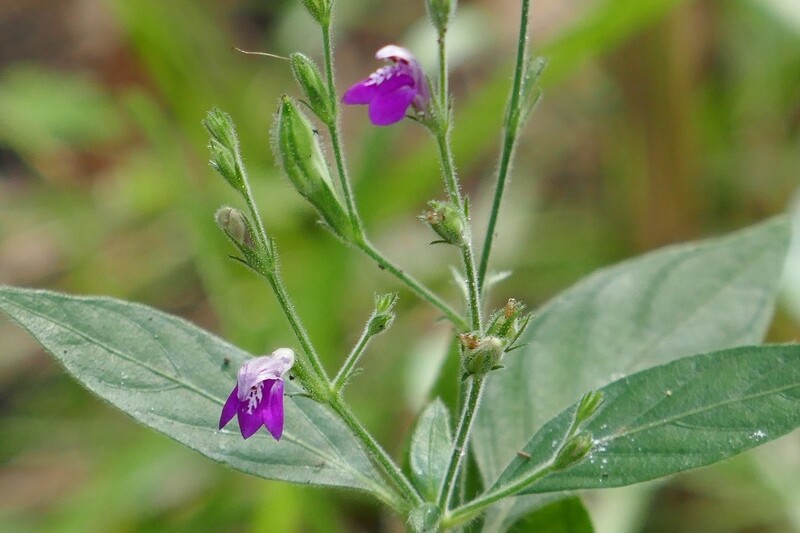 It is an endangered Florida wildflower and has only been documented growing in Hernando, Sumter, and Lake Counties. However, its range seems to be spreading in central Florida. It is found growing naturally in the shade of rocky woods and oak hammocks. It can tolerate drought as well as moist soils, but should not be grown in standing water. In the home landscape it makes a great groundcover underneath the heavy shade of large oak trees. The plants get to about a foot in height and require no maintenance whatsoever except for an occasional weeding. 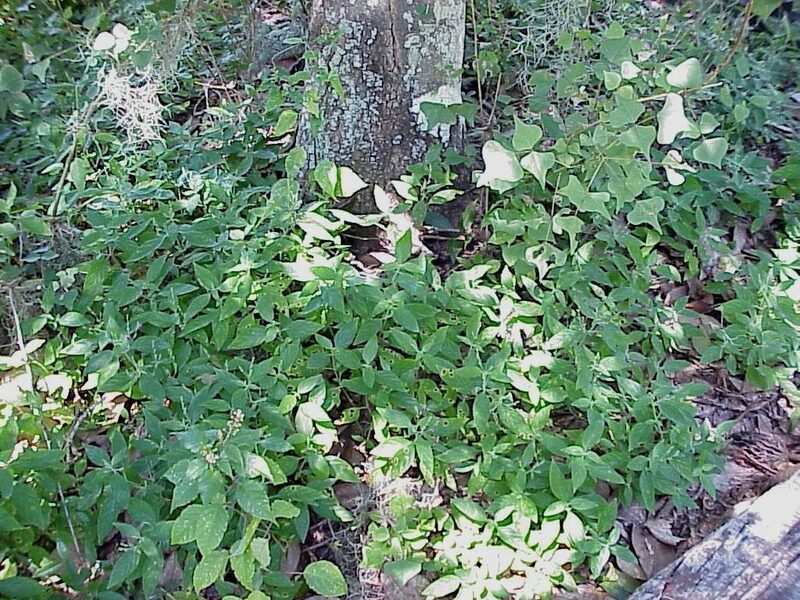 Cooley’s water-willow is drought tolerant and can rely on average rainfall helped with a layer of leaf litter to retain moisture and provide nutrients. 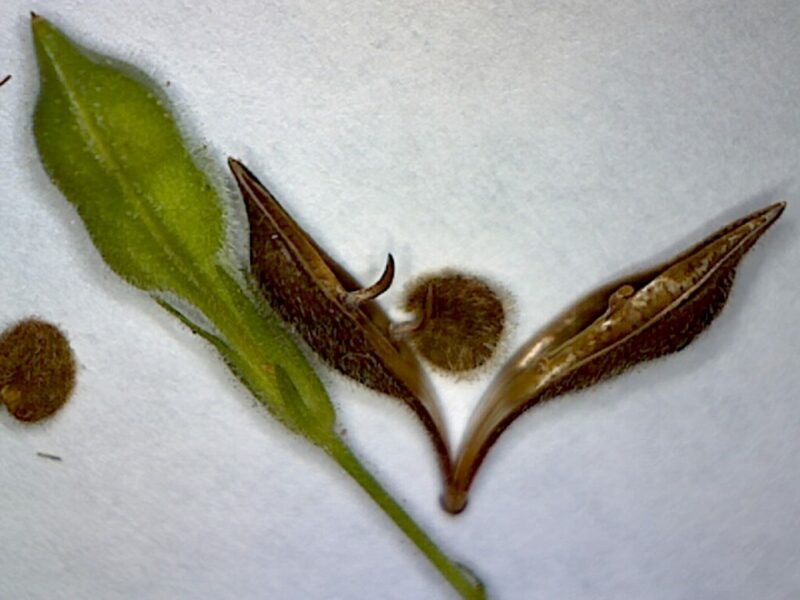 The leaves are opposite, lanceolate to ovate, hairy, with entire leaf margins. 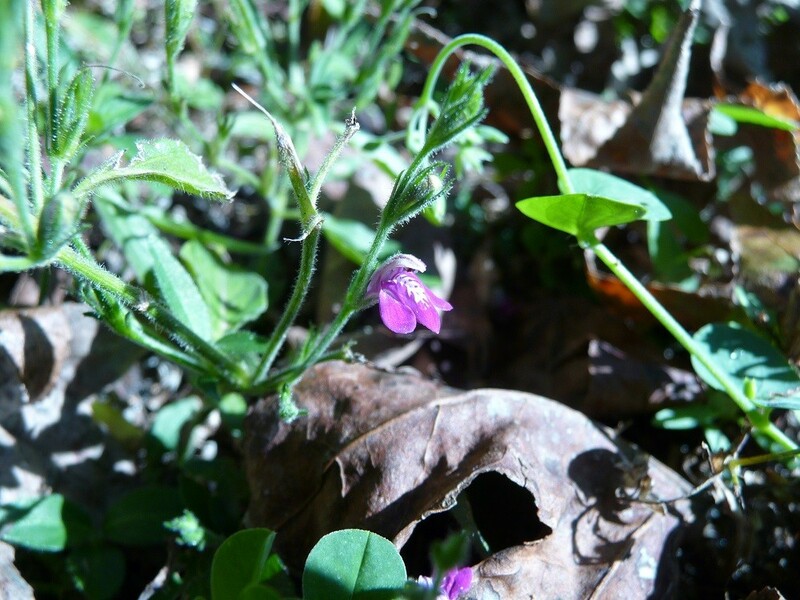 The small bright magenta flowers appear in the late spring, summer and fall. The flowers are used as a nectar source by many small butterflies and bees. The flowers are followed by seed pods that are spring loaded and upon ripening they will explode sending the seeds flying far away from the parent plant. Seeds should be collected when the pods are at least a light brown color … too soon and they will not be viable. Because they are spring loaded care should be taken when picking the seeds. Gently pull them from the plant, keeping the pod closed with your fingers, and place them into a deep container … do not release the pod until it is in something or you will lose the seeds. When drying the seeds for storage, cover the container with something breathable, like cheese cloth or a paper towel to keep the seeds from shooting out in all directions. The seeds are covered with fuzzy hairs and will stick to each other forming small balls of seeds so don’t be alarmed when you see this. If you rub them together with your fingertips they will easily come apart. Propagation is achieved through transplanting and seeds. Transplants should be trimmed of most foliage and all flowers so as not to stress the plant out when moving it to a new location. I trim the entire top of the plant off with a pair of scissors (to about 4 inches high), dig up the roots with a small trowel and move to the new location being sure to water it until it is established or plant during a rainy spell. Starting seeds is probably easiest in damp paper towels, but I usually just sow them where I want them to grow. I rake the soil back a little then place the seeds down, rake the soil back, gently tamp down and water in. Do not plant too deeply. Starting seedlings in pots will definitely give you the most control over the seedlings. Cooley’s water-willow is listed as an endangered wildflower and most references state it is only found in about seventeen populations, but it is much wider spread than that. I believe the reason is because most people do not recognize it, or overlook it, and are not even aware it is growing on their properties. I have identified many populations on many properties in Hernando County. Cooley’s water-willow is almost always found around the base of large, live, oak trees so if you have some on your property take a look around the base of your oaks for these little beauties .. you might be pleasantly surprised to find them there. I have found them growing in many, many, oak hammocks, those with large live oaks, throughout my County of Hernando … I have them growing on my property and I did not plant them here. If you find plants growing in areas where you do not like them, or they constantly get mowed off, just dig them up and move them … these are tough little wildflowers. Buy Cooleys water-willow starter plants here!